 Campus Security serves all students, staff, faculty, and guests of Newberry College. All criminal offenses occurring on-campus or at College controlled property should be reported to Campus Security. The department operates twenty-four hours a day, seven days a week and is staffed by fully trained officers. Learn more about how Newberry College keeps its students safe. The mission of Newberry College Security is to work with all members of the campus community to preserve life, maintain human rights, protect property, and promote the educational objectives of Newberry College. The objective of Newberry College Security is to enhance the quality of life on campus by working cooperatively with the campus community and within the regulations of the college to enforce the laws, preserve the peace, help build self confidence, and provide a safe and secure environment. As our mission, we believe in setting the example. We are committed to providing high-quality, expedient service to the campus community. We strive for a safe and healthy environment through quality improvements and constant performance monitoring. Patrolling campus--exterior and interior; monitoring students, employees and visitors. Traffic control—Assist in parking needs, issuing parking violations. Locking and unlocking campus doors--interior and exterior. Security officers respond in order of priority and level of emergency. Full-time staff includes a Director of Campus Security, one Captain and five Campus Security Officers. All Security Officers are trained and certified in First Aid, CPR and Automatic External Defibrillator (AED). Officers conduct foot and vehicle patrols on-campus and are charged with the enforcement of applicable federal, state, local laws, as well as college policies and regulations. The Campus Security Department works cooperatively with the Newberry Police Department and other law enforcement agencies to ensure the safety of the campus community and may ask for assistance when a crime has been reported. Need to contact a security officer? Security officers are equipped with radios and cell phones. Dial 5600 from an on-campus phone or (803) 940-0672. From an off-campus phone dial (803) 321-5600 or (803) 940-0672. Security should be notified of any problems or crimes committed on the campus as well as calling 911 in the event of an emergency. To report a crime or an emergency on campus, call Campus Security. For anonymous reporting, go to the Security web Page and click on C.A.T.S. (College Anonymous Tip Site) Campus Security officers respond to all reports of crimes and emergencies and complete an “Incident Report” for any crime occurring on College property. As a service to the campus community, if requested by the complainant a Security report is filed with the Newberry Security Department. If you are not sure if security is needed, call to let us respond and assess the situation. Call quickly. Don’t assume someone else has made the call. Try to provide accurate detailed information about the problem. Stay on the line until the dispatcher or the officer says it is ok to hang up. Depending upon the type of emergency the Campus Security officer may also request assistance from the Newberry Police Department, Fire Department or EMS. The Security 24/7 phone number is 803-940-0672 to report an emergency from on campus phones is extension 5600 or 803-940-0672. Have you seen something we need to know about? Please fill out the College Anonymous Tips by clicking on C.A.T.S. in the above right column on the current page.